If your distance vision is great but you can’t see close to, these large frame wayfarer bifocal sunglasses may be just the thing for you. One of our best sellers, the grey lens means they’re great all outdoor activities and they give you total 100% UV Protection. 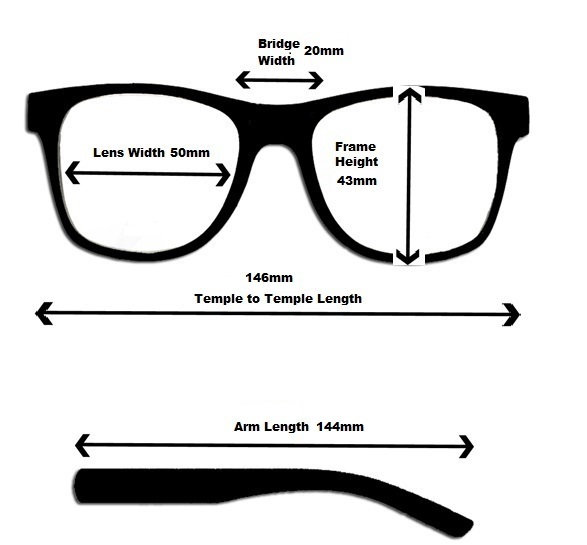 The top section of these bifocals is not magnified allowing you to view distance normally. The bottom half of the lens is magnified to your reading strength giving your eyes the boost they need occasionally. Amazingly, these can be worn over contacts and they’re fashionable and trendy too. It’s a win win situation. These grey lens bifocals have some great attributes. The UV protection gives your eyes and delicate skin areas 100% protection whilst out and about. On top of all that the bifocal lens allows you to slip easily from long distance vision to close vision to easily read data on your appliance etc. Filter Category 3 provides extra protection from both visible and UV light. These lenses will usually only allow less than 20% of visible light to penetrate the lens. This means that they will block out 80%+ of light. An excellent product at an excellent price. Grey Reduces overall brightness while preserving 100 percent normal color recognition.Sports: all outdoor sports in bright light conditions.